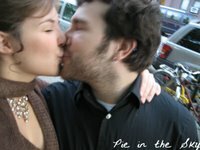 Yesterday, J and I celebrated two years of love and friendship together. What a fabulous time it's been! 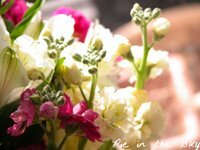 I arranged this lovely bouquet of organic flowers for him; he gave me a fancy bottle of organic, seasoned olive oil; he gave me a card painstakingly made on an 1890's printing press; I gave him a batch of homemade vanilla-coconut macaroons. Aren't we just perfect for each other?! These little mouthfuls of decadence are sugar-crisp on the outside and tender as vanilla custard on the inside. They're a snap to throw together and make great autumn gifts. Preheat oven to 350 degrees F. Lightly grease an insulated baking sheet with shortening (if you don't have an insulated baking sheet, stack two cookie sheets on top of one another). Whisk together eggs, sugar, salt, flour, and vanilla until thoroughly mixed. Switch to a wooden spoon and stir in coconut until evenly coated with egg mixture. Drop the dough in one-tablespoon mounds (Tish recommends using a melon baller; a regular spoon is fine, but be sure they pile high) 1-2 inches apart on greased baking sheet. 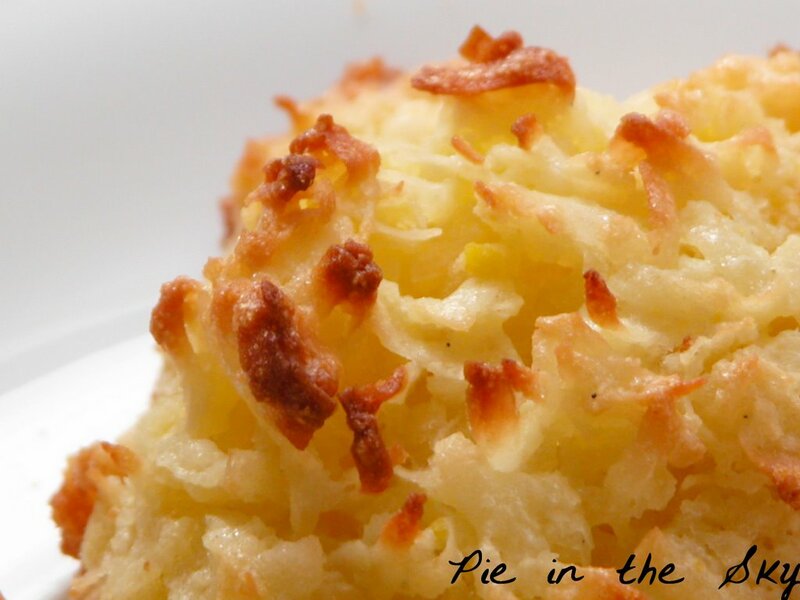 Bake for 14-16 minutes, until the edges of each macaroon begin to brown along with the top few strands of coconut. Rotate sheet once in middle of baking time. Allow macaroons to cool completely on the pan on a wire rack before carefully removing with spatula. Enjoy! Recipe adapted from The Good Cookie by Tish Boyle. 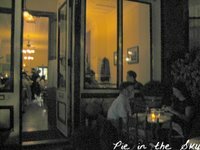 Last night he took me on a surprise date, too - to Applewood, a restaurant in Park Slope owned and run by a husband-wife team that features all local, organic foods, hormone- and antibiotic-free meat and poultry, and wild-caught local fish. Laura and David Shea are ardent devotees of the Slow Food movement and endeavor to put ethical eating first in their business. Applewood's atmosphere aligns with its ethical tenets and farmer connections: a small, cozy-yellow room with shelves of ragged cookbooks and prints of blooming orchards (all taken by local photographers), sturdy maple tables, firewood neatly stacked out front, presumably to feed the central fireplace in the dining room. But the menu deviates from the anticipated straightforward, wholesome country meal - from biodynamic choices on the wine list to creamy lobster broth (which our server described as having "terroir of the sea") to house-churned honey ice cream for dessert, fine dining at Applewood was a unique, distinguished experience form start to finish. I couldn't help but opt for the four-course tasting menu as I sipped my spiced pear whiskey sour with cinnamon and pear purée. Chewy french bread began our meal along with a generous dish of French-whipped butter, paprika-lentil puree, and Long Island duck paté, which was aromatic and quite delicious. J started with the completely stupendous creamy lobster broth mentioned above (the soup differs from a bisque in that the shells are pureed into the broth, providing the aforementioned terroir), while my tasting began with an amuse bouche of whipped salted cod on a crostini and poached maine lobster, served cold tossed with crispy grated parsnip over fire-roasted patty pan squash. I thought the cilantro flavors in the dressing overpowered the lobster, which was served cold, but the squash was fantastic and very elegantly plated. Next we shared my rouget with mussels over bulgur - this dish was extremely salty, but the fish (which I'd never had before) was perfectly crispy, served atop a mound of steamed mussels out of the shell and tender bulgur aswim in the paprika-spiked mussel broth. 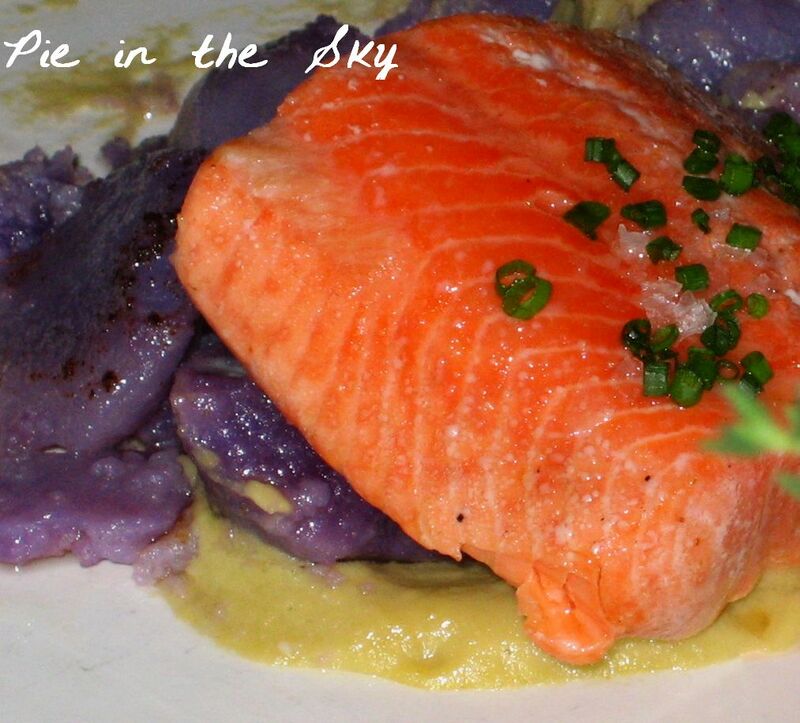 For his entrée, J ordered seared arctic char with purple potatoes and garlic purée - an ideal dish for his palate! The salmon was cooked to perfection, garnished with glittery crystals of sea salt, and the potatoes were tender and flavorful. There was too much garlic puree on the plate for my taste, but J loved it and devoured every bit. I was served pork belly over pickled red cabbage and housemade pancetta. The cabbage was actually my favorite part of this dish - seasoned with the pancetta, it was sweet, savory, and tangy-tart. There wasn't enough pancetta on the plate, though (I ate one bite and realized there was no more left to share with J!). It was my first experience with pork belly, and though it was very flavorful and prepared well, the fatty parts were a little rich for me. Finally, I was brought a tempting taste of honey ice cream with poached plum and crumbled pastry - my favorite bite of the whole meal! Jeremy ordered an apple crisp with apple cider ice cream. 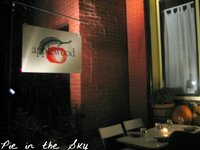 Overall, though not everything was prepared exactly to my tastes, I had a wonderful, romantic dining experience at Applewood - mostly due to their passionate devotion to sourcing organically, locally, and ethically. 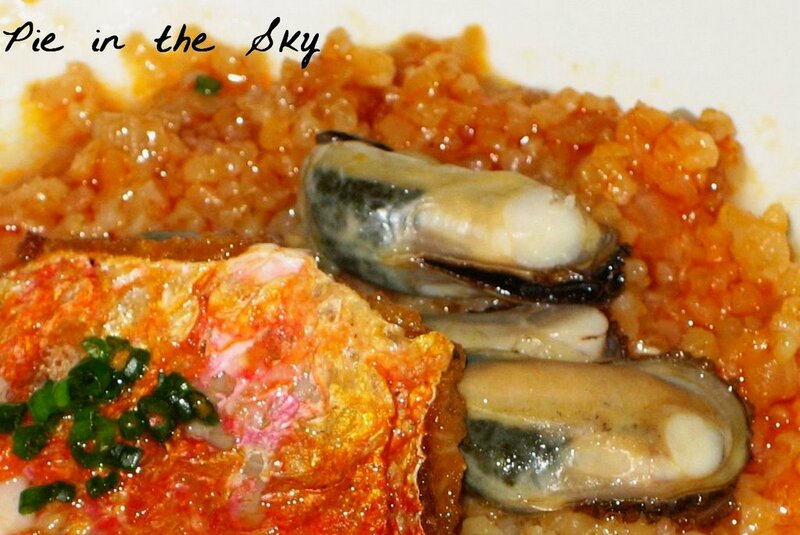 The freshness of the flavors in everything proved that Slow is the way to go! 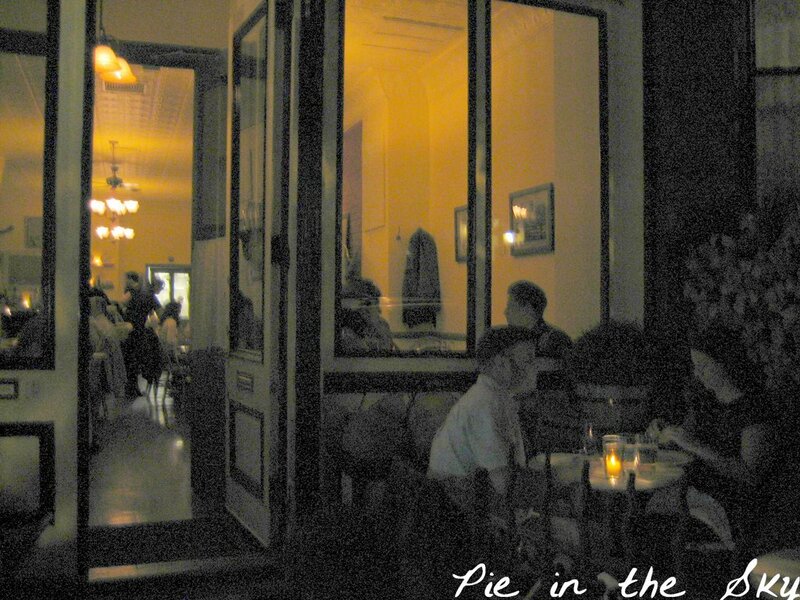 The restaurant I will have to hold off on (being 3000miles away and all) but I think I WILL have to try those macaroons! They look so tasty! Happy anniversary! The Applewood gets added to my "places to visit" list. I love macaroons. Growing up all we ever had were those horrible Manischewitz macaroons. It was not until I was older that I realized they were not supposed to taste like the inside of a tin can! rachael - thanks! i was thinking that next time i make the macaroons i might add half a vanilla bean for extra-fancy vanilla kick...maybe you can try it and see how it goes! amy - what a compliment - thanks!! b - same here! 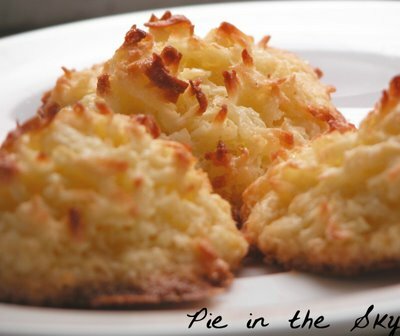 my family aren't big macaroon eaters, so i only ever had the icky box ones as well... i've actually been on a macaroon kick since one time this summer when i went into a deli on avenue d and the storekeeper had container of fresh homemade macaroons for sell for 25 cents apiece. they were so delicious! vanessa - thank you =) nothing goes better with love than SUGAR. I love the idea of slow food. Upon my last visit to our mountain home I helped carry about 50 jars of apples to our neighbor’s dirt basement. It was full to overflowing with canned apples, green beans, okra, tomatoes, okra and tomatoes, sweet potatoes, new potatoes, jams and jellies and two bins of freshly dug potatoes (pumpkins are brought in just before the first frost). There were fewer cans of greens, juices, canned chicken tenders, etc. also on the shelves. She has stored more than enough to eat, give away and prepare meals for the sick for at least two years (staying a year or so ahead helps in time of illness when she can’t work the garden.). Mrs. Oliver has worked all summer planting, weeding, growing, harvesting, preparing, canning and storing her yield. As you know, this winter, along with these wonderful foods and an occasional beef roast or chicken, you will smell the scent of cornbread baking (made from the meal of her own corn) or the heavenly aroma of pumpkin bread fresh out of the oven. McDonalds can't compare. Thank goodness she has the winter to rest up and enjoy the fruits of her labor! I know you are familiar with the story I just told, you've experienced it with me, I just felt like telling it! As for pork bellies...don't think I would have gone there, but what an interesting menu to experiment with. Nana will love the Macaroons, as will I! I will make them for her when I go to help her out at the end of the month. Oh, and Kate…as much as I miss you, I'm so glad you are happy and enjoying your life and love. As always, I'm proud of the woman you have become. What a beautiful post! I hope there are many more to come. Hey you guys! Happy 2 year anniversary. You are absolutely perfect for eachother and complement eachother so well. Love you and miss you! Happy Anniversary! Dinner sounded wonderful. Hi Kate and Jeremy -- this is the coolest stuff . . . the coolest! I feel like i'm there with you. i remember the mistral winds in Gordes. fun to remember our vacation there too. we're at your Mom's celebrating William's 3rd birthday. very fun to see everyone. we miss you though!